The "Landrost, Post - en Telegraafkantoor"
One of the famous foreigners who fought with the Boer Forces during the Anglo Boer War of 1899-1902. Capt. Pokrowski was a Pole who was an officer in the Russian Army. He was killed in a skirmish on Christmas day 1900 when he and his men attacked the British garrison in Utrecht. 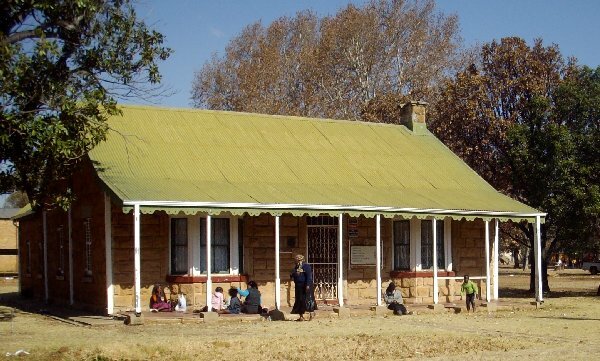 Petrus Lafras Uys was one of the original settlers in this area in 1847. 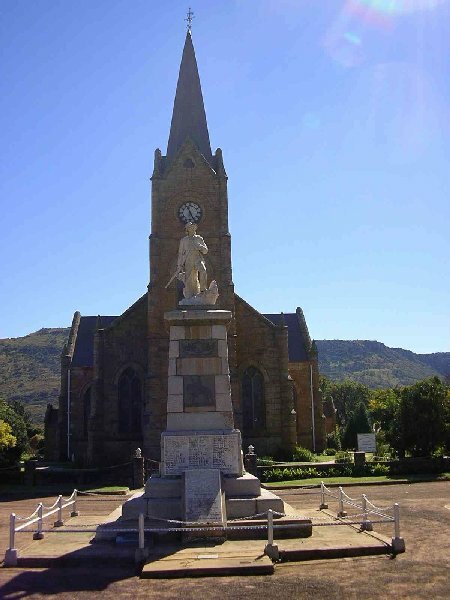 He was the first Landdrost appointed byt the government of the Zuid Afrikaansche Republiek after Utrecht was officially incorporated into the Transvaal on November 6, 1859. He was a member of the Transvaal Volksraad for the Utrecht District. He was also the Commandant for several years. 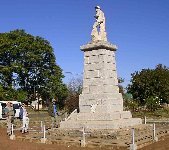 A Commando of some forty men including his four sons fought with the British during the Anglo Zulu War of 1879 and was killed in the Battle of Hlobane on March 28, 1879. 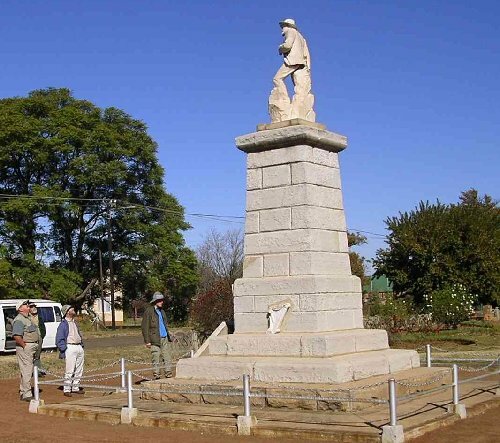 The monument was erected in 1881 by the Burghers and British soldiers of Col. Evelyn Wood with whom he had served during the War. 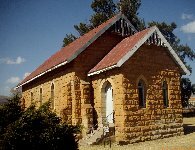 This is one of the oldest buildings in KwaZulu Natal north of the Tugela River and dates back to 1856. It was the first house of Swart Dirk Uys who was the first Commandant of Utrecht, appointed by the Zuid Afrikaansche Republiek in November 1855, four years before the District was incorporated into the Transvaal. This appointment almost led to Civil War in 1858. 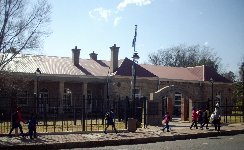 The façade of the building is the work of Senator Jacobus Johannes Uys, son of Wessel Hendrik Uys who was the first member of for Utrecht of the Executive Council of the Transvaal, elected as such in 1859. It is a National Monument. 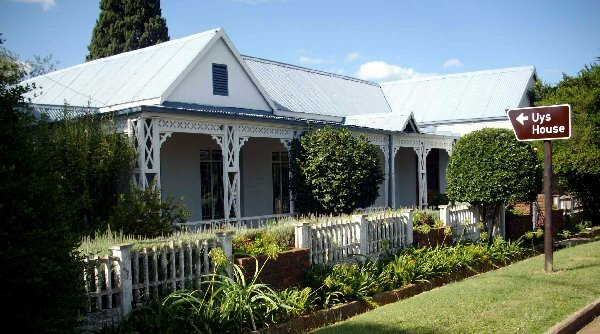 Both houses are national monuments and are considered to be amongst the finest examples of Natal residential architecture in rural KwaZulu Natal. 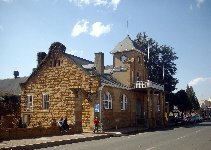 The town was established in 1855 and in 1860 the irrigation system was started and considerably extended up to 1865. 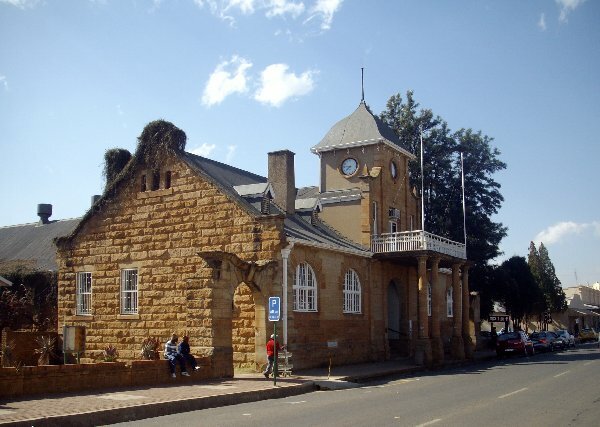 In 185 the first water fiscal was appointed by the government of the Zuid Afrikaansche Republiek (Transvaal). Later all the furrows were lined with sandstone slabs. Standing in front of the present post office on the sidewalk one stands on the water furrow that passes under buildings and streets at numerous places. Until well into the 20th century Utrecht was a well know wheat producing town and a water mill was in operation from about 1870 until 1922. The old cemetery is well worth a visit. Many graves of well know Voortrekkers are here. Rev. H. L. Neethling the moderator of the United Dutch Reform Church of the Transvaal and the Rev. 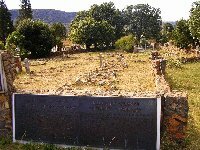 Alington, the first Vicar-General of the Anglican Church in Zululand are buried here. A section of the cemetery is laid out in the form of an arrow pointing north. 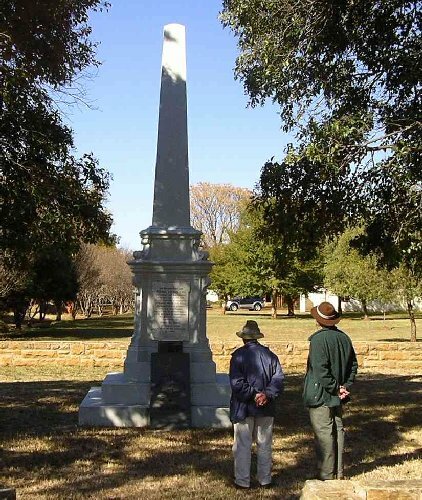 British soldiers serving with Col. Evelyn’s Wood No 4 column who died during the Anglo Zulu war are buried here including Stephen Thornton Phillimore, the Deputy Commissioner. 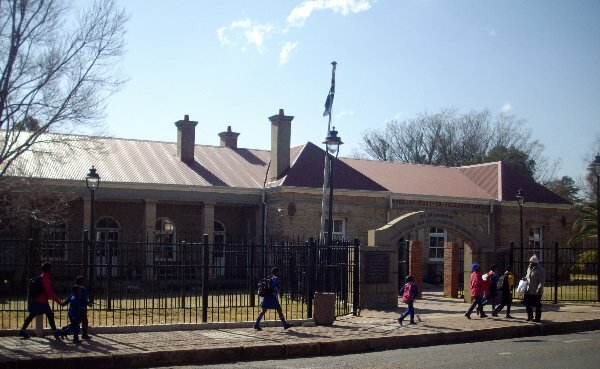 The sandstone section of the goal is not declared a national monument , but is very historical as it is one of two remaining sections of goals of the old Transvaal (before 1900) still in existence. 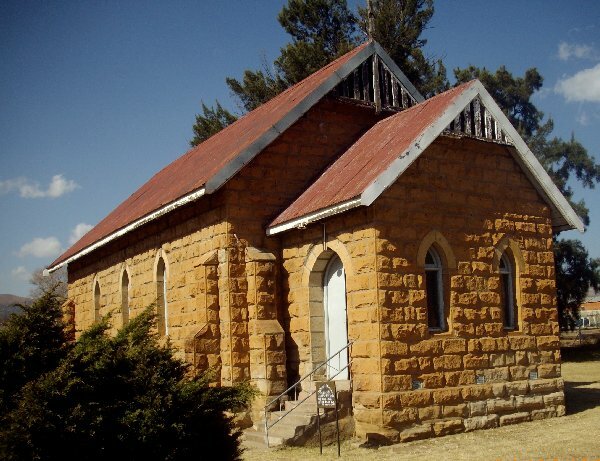 This building was erected in 1899 but is not an historical monument. The interior of this church is still a gem.